“Fear is necessary for evolution. As the year 2030 heralds a new automation era with 80% unemployment in banking centers such as New York, Hong Kong and London, how can one be optimistic about the chances of retirement or your children, or your children's children landing a job? More and more articles are being written about the eradication of jobs by automation with machine learning and artificial intelligence, and it's increasingly creating consternation in the workforce. But hardly any press is given to the new types of jobs that will spring up from this new 'bot economy'. The problem arises because no one really knows what type of jobs could ever evolve when time-wasting tasks are eradicated from our daily ‘to-do’ lists. Our life is full of calendar scheduling ping pong, scanning emails for clues of next steps, on hold to wait for customer service, trying to find ATMs to turn on services before going abroad or keeping one web page open with Frequently Asked Questions while trying to fill out online forms. "As humans, our biggest vulnerability is monotony. When we work a job that is repetitive, boring and soulless, we can easily be replaced [by automation]." Artificial intelligence companies and fintech darlings such as Clare.AI are already preparing the human economy for the new roles in its discussions why 'conversational commerce' cannot be avoided. Conversational commerce is the trend toward interacting with businesses through messaging and chat apps. And because it’s impossible to have billions of people glued to billions of chat sessions around all sorts of topics such as customer service and technical support without being seenzoned – artificial intelligence is necessary. If you break down common Business Process Outsourcing (BPOs) methodologies, humans are only running on written decision tree scripts. And when the response by the customer doesn't fit the script, there is a common, "Let me talk to my supervisor." So why not build the same functionality in a humanized bot or ‘digital organic’? This technology uses a neural network – accumulating the knowledge of every question and answer ever asked to drastically reduce, "Please wait. Let me ask my supervisor." More importantly, it's about building bonds between bots and humans using localized slang. For example, being able to talk to the customer in their native language – even if their dialect is niche such as Cantonese – when most are focusing on chat bots that only speak on the top Western languages and Simplified Chinese. Or those bots that learn new languages on the fly while talking to a customer or can flip back and forth between languages, according to the conversation being spoken by the customer. Those that pursue automation as an easy way to downsize the workforce to save money with on-boarding and slashing salaries are missing the point. It's about those who engage now to become 'hyper-efficient' against competition. There is a 'psychology of zero' at play, also. Think of the last phone call you made to a customer service number that had voice prompts to answer your question. How many times after pushing a button once or twice did you just hit zero to get to an operator to talk to a human being? 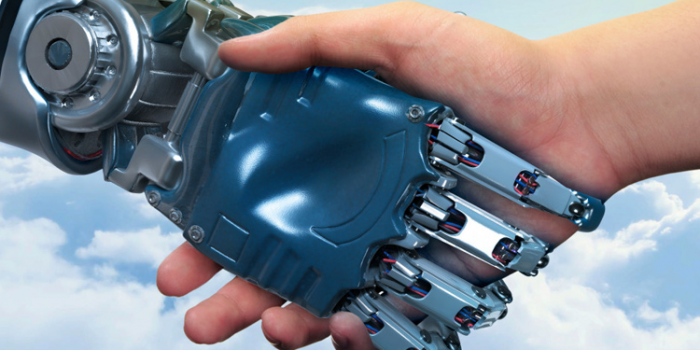 It's important that the technology must be more 'human than human' to increase engagement. Most importantly, 'conversational commerce' allows for longer, richer conversations with their customer base – as opposed to pushing call center agents to keep Average Talk Time (ATT) to a minimum, which is not to be confused with Average Handling Time (AHT). See below the formula that makes up Average Talk Time (ATT). With bots, Average Talk Time (ATT) KPIs will then get linked more to personalized service than always working to end the chat. Understanding the 'meta' of their customers, such as: using words that are auditory in nature or visual, the likes and dislikes that are shared within the conversation (definitely not by prying on them via social media), and feeding the bot contextual details such as weather where the person is chatting from, or news events that might be happening around them. Furthermore, it's been said that everyone in the future who wants a job in the bot economy must have at a preliminary level some sort of PhD – which is contrary to the fact that the most successful startups and billionaires in the world all quit school and/or university without graduating with a degree. So what type of jobs exist now and which ones are coming? And what type of education would realistically be required? As Gerardo Salandra (Jerry) of Rocketbots.io eloquently put during his recent AI talk at Hong Kong's Garage Society, "Machine learning is making something from nothing." But how do you get the instructions going in the right direction? Remember the expression of garbage in and garbage out – every computer programmer's first golden rule – also applies to machine learning. If you feed one piece of garbage into an empty vessel of a machine learning algorithm, it can corrupt the whole. It will require AI trainers who will patiently feed via a User Interface (UI) context, content and how to handle certain scenarios. Think of it as a human-to-bot mentoring. And the future AI trainers will be ranked by the success rates of their 'bot children'. These AI trainers will just need a normal Bachelor's Degree in Communications or Business Administration. But the more successful ones will be those who have excellent multi-tasking skills and can come up with notable catchphrases that bots can use to 'de-escalate' irate customer situations. Yes, we are talking about how humans who imprint on ducklings and geese and lead them on their initial migratory trip. But mash it up with bedazzling your MySpace.com page or updating your Facebook cover and profile photo. This job will be focused on giving a bot personality, an edge that makes them more than a generic yes-or-no answering script. These bot imprinters will be busy creating A-B testing scenarios. Each customer responds to a different type of personality, and it will be the job to create randomness and eccentricity in the bot with phrases, likes, dislikes, favorite types of music, movies and art. Maybe they are creative themselves. They will take on the characteristics of their bot imprinter and behave accordingly. And the bot imprinters will constantly tweak, prune and even correct their bots based on reactions, context and/or escalation. Their goal is to keep the need for human intervention to a bare minimum. These bot imprinters will usually come School of Art & Design or are creative types. If cultural understanding needs to be deeper, possibly they will hold a degree in Linguistics or Anthropology. These can be converted over directly from current call center operator employees, and they will monitor four or five chats at a time, making sure the chat bot is cordial, following protocol in its own unique way. But the bot switchboard operator has the ability to intervene at any time. This means one call center operation of 300 persons can be converted easily to a 1200 / 1500 'conversational commerce' center and maintain a superior quality of service. Bot switchboard operator wouldn't really require a college education but will require some preliminary onsite training on what to do when things go wrong. Also, and more importantly, how to spot a bot talking to a bot. Bots talking to bots could create a significant 'troll bot' situation and could be used to 'de-program' conversational commerce centers to lose contracts or cause upset, irate customers. How about the future? What type of jobs might organically evolve that might not be deemed initially legal but will force regulation and laws to be changed? "The autonomous car sales man and sales woman will be selling the ‘bond’ between you and car – more than selling the features, looks and speed. Car sales women and men will be selling ‘affinity’ – and doing matchmaking of riders to cars." Why? Well, if a deadly driving situation arose, would an autonomous car protect you in the driver seat, your family inside or the people outside your car? Based on current regulations and insurance underwriting rules, the autonomous car would be programmed by default to protect everyone on the outside. But there will come a time when 'tweaker' autonomous car shops will arise. For a certain price, they will modify the algorithm to protect you and your family. More importantly, they will cover their tracks that they made the change, so in case of an investigation or lawsuit, it will seem that the car did it with its own onboard logic. How can this be tracked? The more families require or pay for the 'soul' of their old autonomous cars (or machine learning logic) to be transferred to their new cars – it means that 'tweakers' have touched the algorithm. However, the family will link it to sentimentality. 'Tweakers' could be college programmer dropouts or just teenage hackers. But because the lack thereof of education or regulation and the spike of instances of autonomous cars seemingly killing innocents outside the vehicle – will require an overhaul of laws and underwriting rules. So there is no need to be afraid. The future is not about all human beings having a universal income because everyone is unemployed. The future job of the bot economy is about those who thrive on nurturing children – albeit 'digital organic' ones. And the number one rule in parenting is: You do not want your children to be scared of you. Because fear not only prevents inspiration. It halts innovation. And it can ruin future relationships. Especially when the relationship in jeopardy is us with our bots.